the Autism Advantage.” “Employment of Persons with Autism” was celebrated last April 1, 2016, 3:00- 7:00 PM at the Music Hall, SM Mall of Asia, Pasay City. The following organizing committee and support organizations were present to give inspirational messages led by Ms. Carmen Zubiaga (NCDA); Dr. Epifania Simbul, (Committee Chair / Director, National Children’s Hospital), Ms. Josephine Palomares (Association for Adults with Autism Philipines) & Ms. Carmel Almedrala (Autism Society Philiipines). Government Agencies & Private Companies and FASHION Arts Autism Benefits (FAAB) Artists & Launching of Awards & Recognitions of Families & Individuals from the the National Library and Musical Performances from several PWAs. 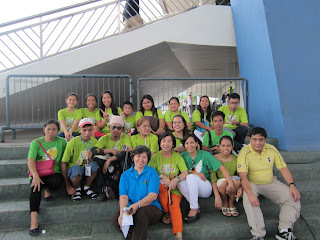 DENR and doctors from National Children’s Hospital. The highlight of the event was the Light It Up Blue, the lighting of the MOA Iconic Globe showcasing the World Autism Awareness logo and encouraging people to advocate for the rights of people with autism. 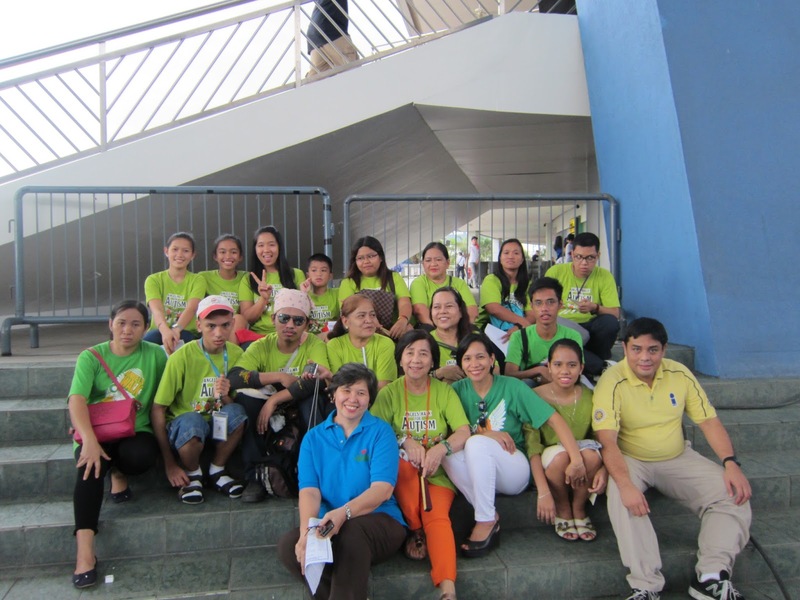 About the contributor: Hilda Cristobal is blessed with four children and one grandson. Her youngest son Jared Kevin, now 19 years old, lives with autism. This BS Criminology graduate serves many non-profit organizations. Since 2008, she is the treasurer of Ladies Circle 185, which aims to establish camaraderie and to empower women in the communities in Pasay. Hilda serves as ASP Pasay Chapter President.